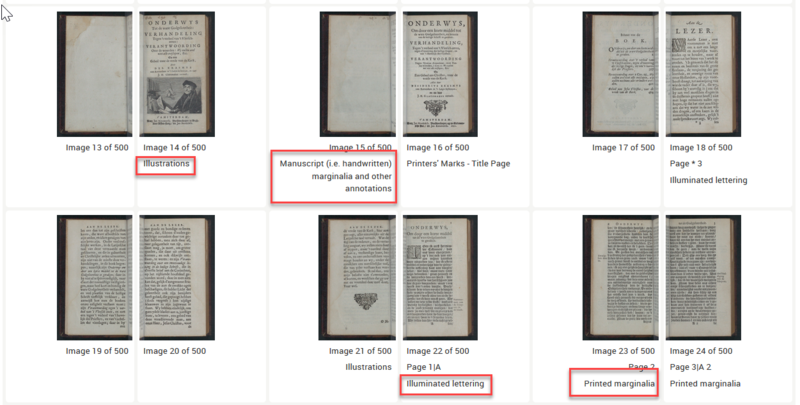 In the Full Text tag of the Document view, the display can be switched to show the Thumbnails of the entire book scans. Every part of the book has been scanned. By clicking on the single thumbnail the page is displayed in full size. The Thumbnails display can be used to preview instances of all the different special features within a given document. 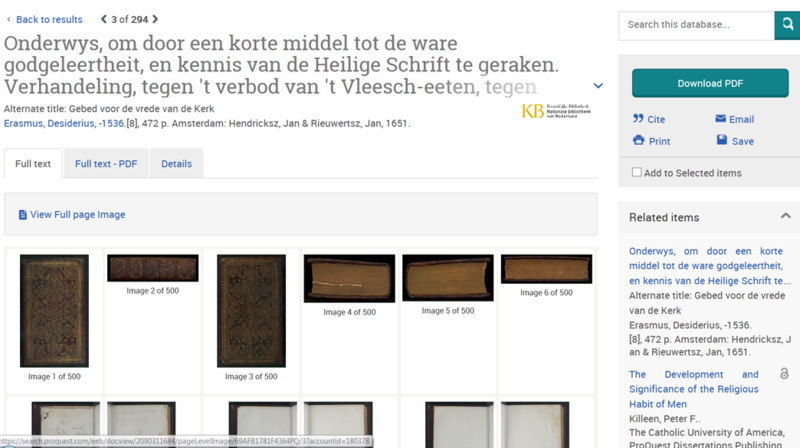 Each image on the Thumbnails display is accompanied by a list of the special features associated with the page shown.